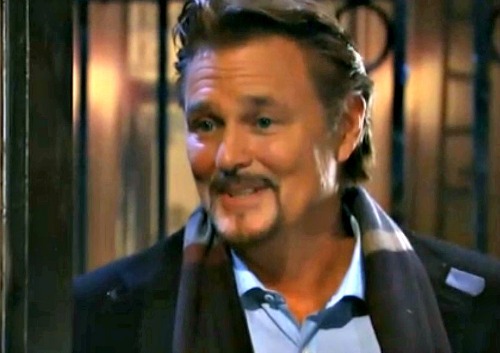 General Hospital (GH) spoilers reveal that sneaky Jim Harvey (Greg Evigan) may be using the Charles Street Revitalization Project as a cover for entirely another project that could sink not just the Charles Street neighborhood, but Port Charles ITSELF to the bottom of the bay!! Think about it… sudden sewer backups… “fake” gas leaks… and that geological map Curtis Ashford (Donnell Turner) came across showing the understructure of Port Charles. 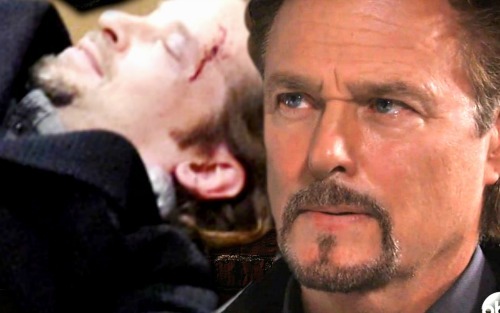 GH buzz suggests maybe there’s oil under that there town! And we all know that oil makes way more money than gentrification. Perhaps Jim Harvey has not had his crew getting the Charles Street neighborhood ready for revitalization, but perhaps inadvertently, for total destruction, fracking down below even the catacombs underneath the city of Port Charles to get at that oil! The mechanisms involved in fracking can disturb fault lines deep within the earth, and possibly even disturb the tectonic plates, which is defined by Dictionary.com as “the two sub-layers of the earth’s crust (lithosphere) that move, float, and sometimes fracture and whose interaction causes continental drift, earthquakes, volcanoes, mountains, and oceanic trenches.” This could create tremors and possibly even full-blown earthquakes, which is one reason why fracking is so controversial. 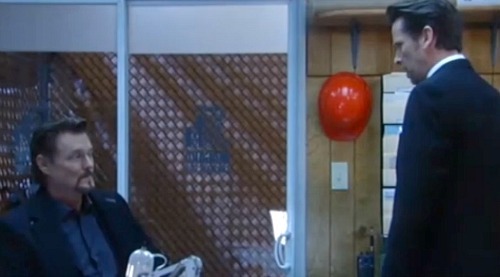 Could Jim Harvey have unwittingly unleashed the fury of Mother Earth on Port Charles out of greed? After all, if evil Jim wants to put an oil field or perhaps a refinery on this property, a destructive earthquake may be an unwanted side effect! Tune into General Hospital to see how this all works out. We’ll give you updates as other GH news comes in on Jim’s possible responsibility for the disaster. Stay tuned to the ABC soap and don’t forget to check CDL often for the latest General Hospital spoilers, updates and news.